We recently came back from a camping trip where we had S'mores by the campfire almost every night. What's not to love about s'mores, am I right? We don't own a fire pit, and I have had them baked in the oven before (relish!). Unfortunately, our local grocery store was out of flat chocolate bars! Apparently, I'm not the only one craving this quintessential summer treat. Standing in the baking aisle of the grocery store I thought "How can I make s'mores happen without chocolate bars?" Aaaaand....Light bulb! 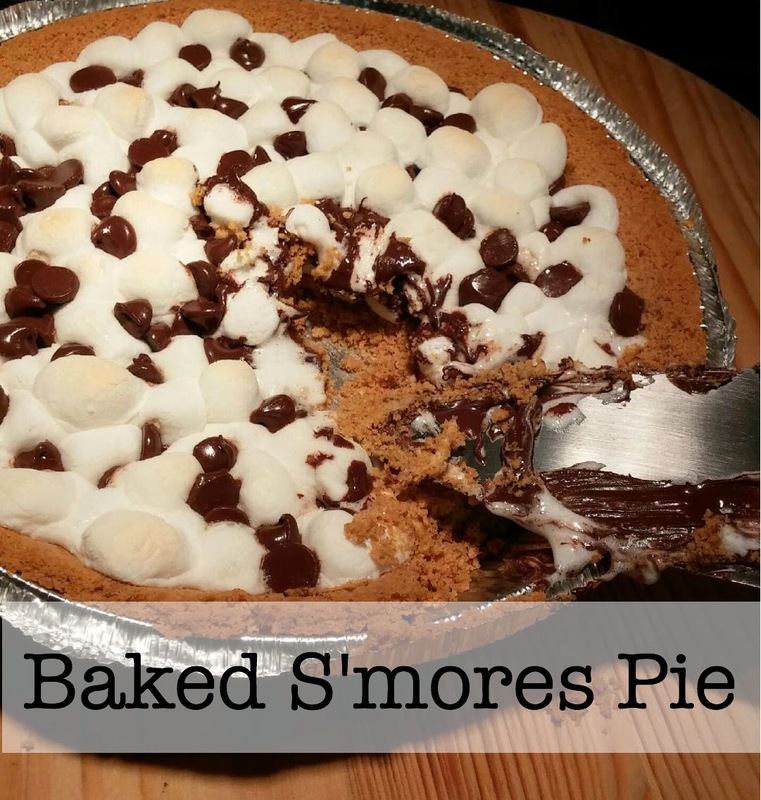 Thus, I bring to you, Baked S'mores Pie! 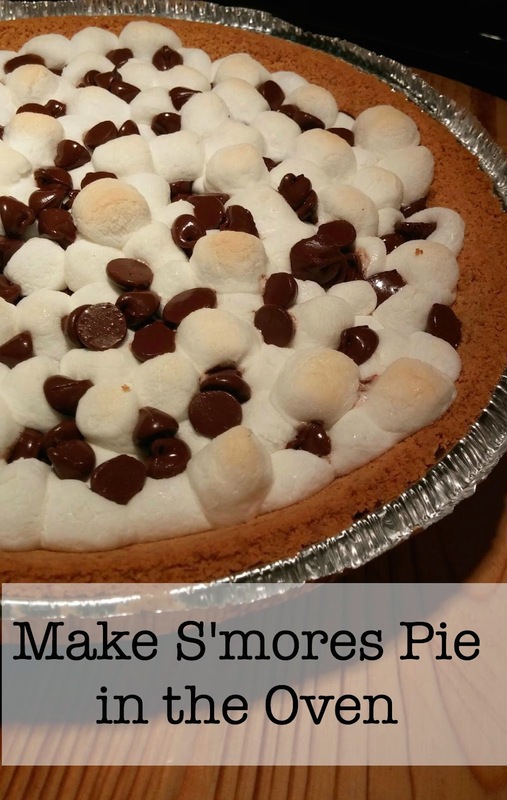 Layer mini marshmallows and chocolate chips inside the pie crust until slightly rounded. Bake at 350 degrees for around 5-6 minutes or until the top is slightly browned. Allow to cool 1 minute. 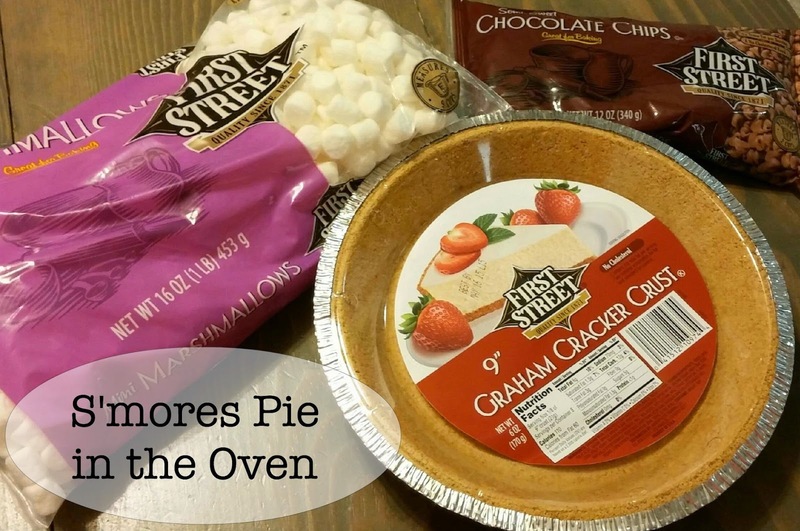 When serving, don't expect it to come out like a traditional pie, it will be gooey and messy, just like S'mores at the campfire! Might be able to make in a 13x9 pan for larger groups. I turned our oven light on and kept a good watch on the pie while cooking, and after 5 minute timer went off, I let it cook a little longer until the top browned slightly. Refrigerate leftovers (if there are any). It tastes great cold, the next day.